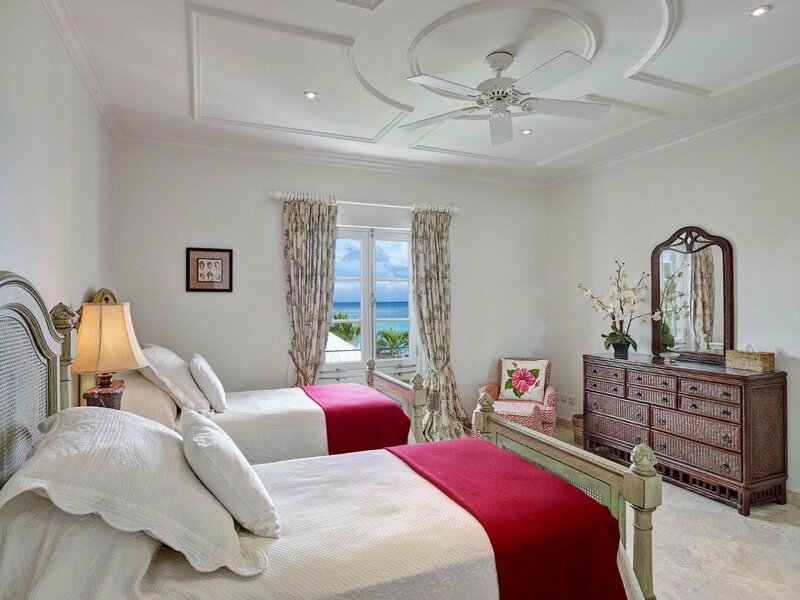 The villas of Schooner Bay in the Speightstown area of Barbados are already known for their luxury and premium design, and yet the Villa Schooner Bay 306, Penthouse may surprise you with its impressive style and charm. 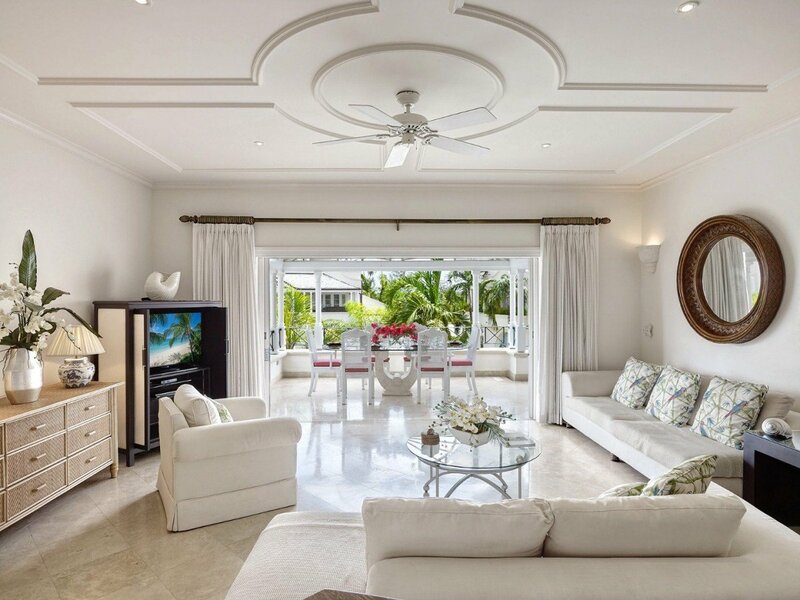 A two-story, beachfront villa, it presents visitors with the best of all possible features. At the tops of the palms, you feel as if you may be in the world's finest tree house, but looking out to the sea view, you never forget you are at one of the nicest beaches in the region. 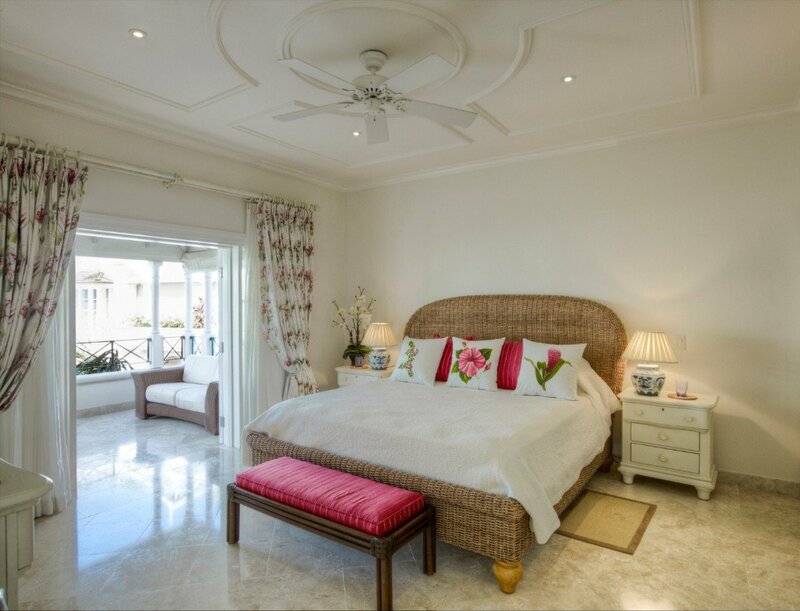 Ideal for a group of six, the three-bedroom villa provides a covered terrace on the first floor, and this includes a luxurious al fresco dining room and a cozy and elegantly appointed outdoor lounge. Just inside from the dining area is the open floor plan living room, with high ceilings, and a cool white palette with delicate tropical influences. This opens directly into the gourmet kitchen and laundry area. Arched doors lead to the entrance and an elegant set of marble stairs take you to the second floor. On the rooftop, you find a bar, Jacuzzi tub, and a barbecue that allows you to spend many wonderful hours gazing at the sea or the stars. The three bedrooms are all en suite with whirlpool baths and dual vanities. 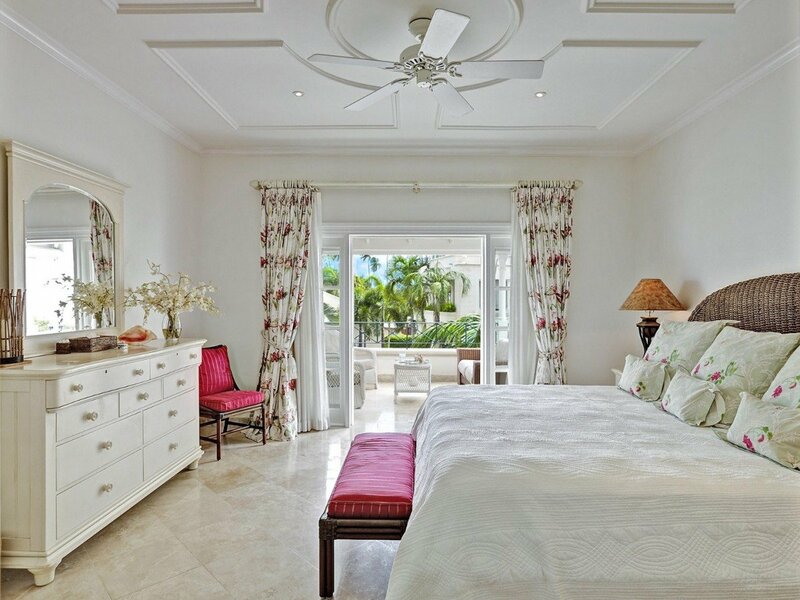 The master bedroom is the largest, and the two remaining each have views and balconies. The villa is also part of the upscale community, and guests enjoy direct beach access, a private community pool designed like a lagoon and full of gazebos, private lounging areas, bridges and palms; and a community fitness center. 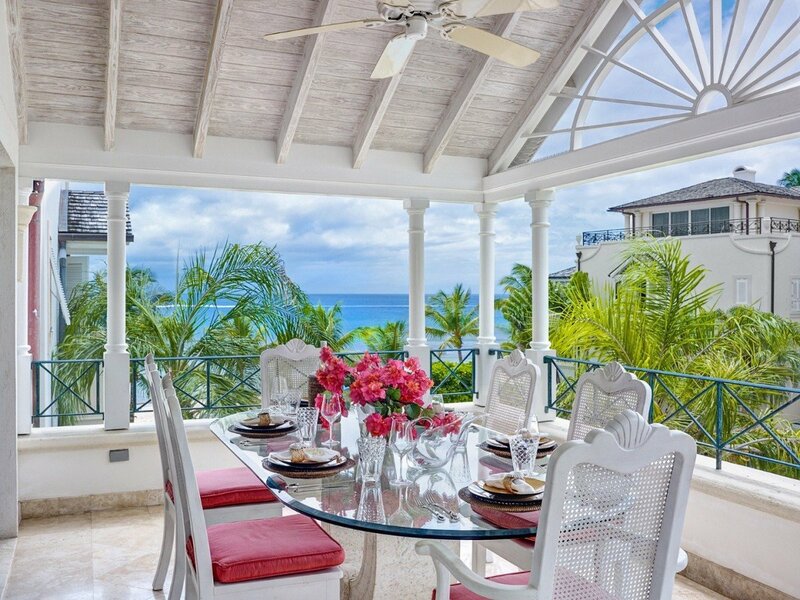 Just minutes from town and a place of peace and luxury, Villa Schooner Bay 306, Penthouse is a wonderful way to enjoy the best that Barbados has to offer. Lovely vacation. Thank you we had wonderful time in Barbados. 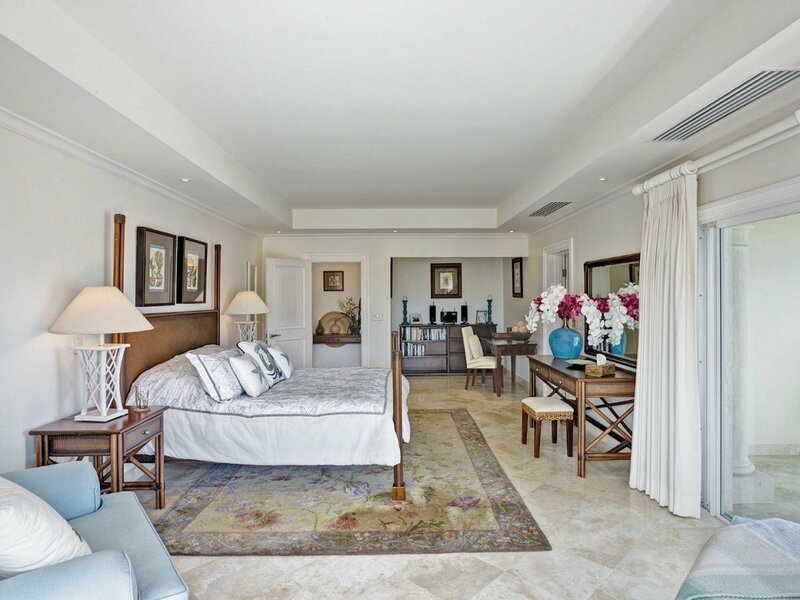 The villa was extremely comfortable overlooking the Caribbean ocean and the swimming pool. In the afternoon we would sit on the patio and enjoy the wonderful cool breezes coming from the east. The kitchen was very well equipped with pots/pans/glasses, silverware and serving pieces. We enjoyed using the BBQ and the Jacuzzi located on the top floor. The master bedroom was very spacious with walk in closets, an over sized marble bathroom and the king size bed was extremely comfortable. The guest bedroom located on the main level with french doors to the patio, was also very comfortable with walk in closets and a well designed marble bathroom. The housekeeper Rose, was a great asset to the villa and she attended to the cleaning of the villa/changing sheets/washing towels and personal items during her 3 -4 hour visit. All in all, I would highly recommend this villa, as the owner has paid particular attention to detail and comfort. I thought the location was terrific as it is located in walking distance to the old trading port of Speightstown with its many colonial buildings now existing in harmony with modern buildings. Isle Blue services were First class, no detailed overlooked and all arrangements went very smoothly from our arrival in Barbados, the meet and greet at the airport, transfer to the villa, delivery of our rental car at the villa and our departure to the airport. All of the representatives were very courteous, on time and a pleasure to work with. We enjoyed a family vacation at Schooner Bay #306 for two weeks We thoroughly enjoyed the villa which was extremely clean, very well serviced, fully equipped kitchen with plenty of serving pieces, glasses, silverware etc., jacuzzi and BBQ on the top level. The master bedroom upstairs was very large and the king size bed was extremely comfortable. 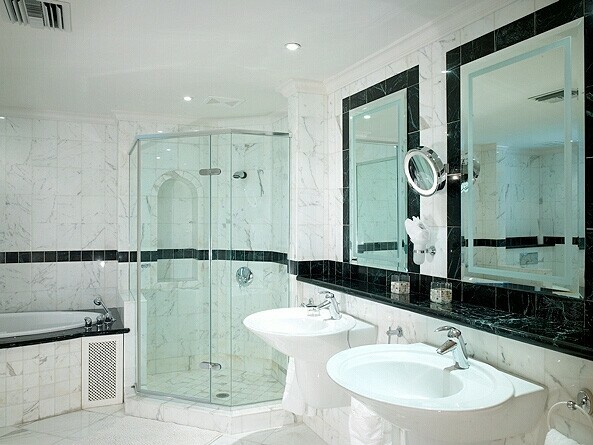 The oversized marble bathroom was more than adequate with a large walk in closet and safe. The guest bedroom on the main level with french doors opening onto the patio was again very comfortable with walk in closets and a large marble bathroom. The villa is fully air-conditioned with the addition of ceiling fans in all the rooms. Morning coffee and afternoon cocktails were enjoyed on the large well furnished patio. In the late afternoon, cool breezes from the east allowed you to enjoy the sunset without being forced inside by the heat of the afternoon. The large swimming pool in addition to the beach were at your doorstep. Security was excellent and all personnel very friendly and accommodating. The owner has put a lot of thought into every aspect of making her guests as comfortable as they would be in their own home. 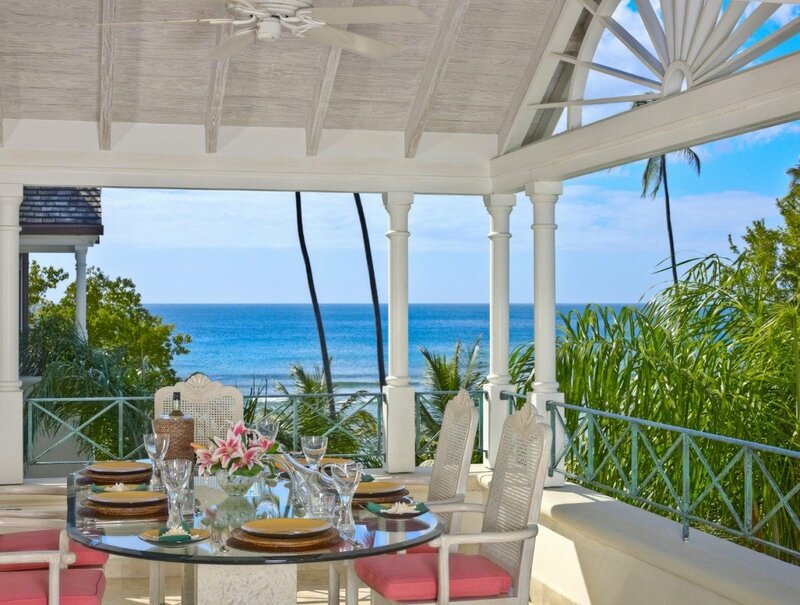 I highly recommend this lovely, relaxing villa and its location in walking distance to Speightstown (one of Barbados historic towns) with oceanside restaurants, colonial buildings and fresh vegetable and fish markets along the curbside, which is an added plus to the location of Schooner Bay.